In January, Phoenix Satellite TV's exposition took the United Kingdom by storm, said the Hong Kong-based channel's chief anchor Sally Wu. It was the proverbial storm in a teacup, literally. The giant visual, resembling a teapot, was composed of dozens of exquisite British and Chinese teacups. Different yet serving the same purpose, they were a bridge that underlined the similarities in two distant cultures. "The UK and China are 8,800 miles apart, yet the British tea is an institution with British hostesses offering guests tea while China is the home of tea," Wu said. And there are many more ties. 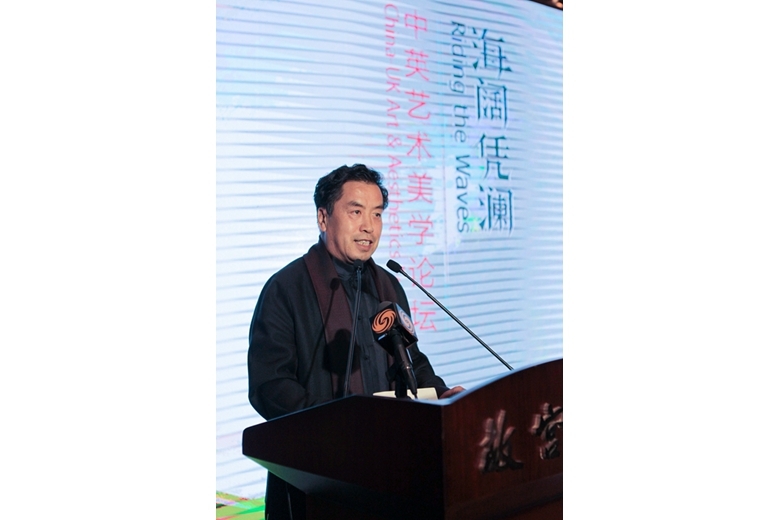 "The celebrated author of Hamlet, William Shakespeare, and Ming Dynasty playwright Tang Xianzu lived in the same period," said Wang Yamin, Executive Deputy Director of Palace Museum. "Although they lived in different societies and had different backgrounds, both created beautiful works which continue to influence society." 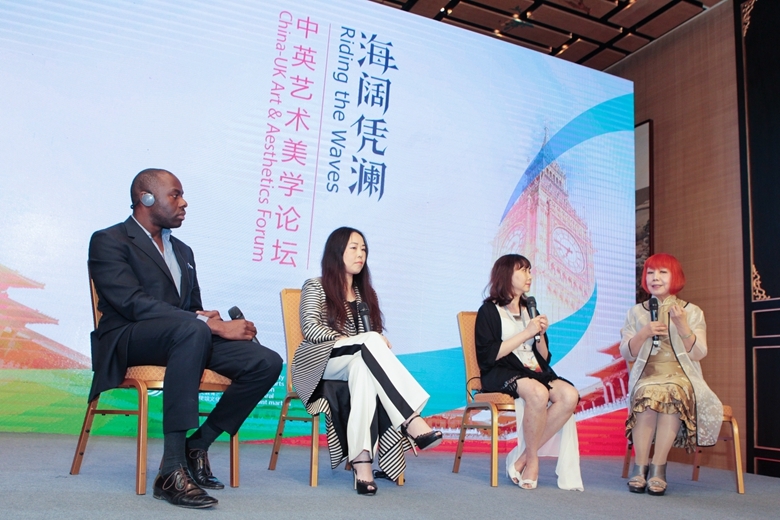 Such cultural linkages between China and the UK and the far-reaching benefits the collaborations between them can bring to the world were the focus of the China-UK Art and Aesthetics Forum held in Beijing on September 28. 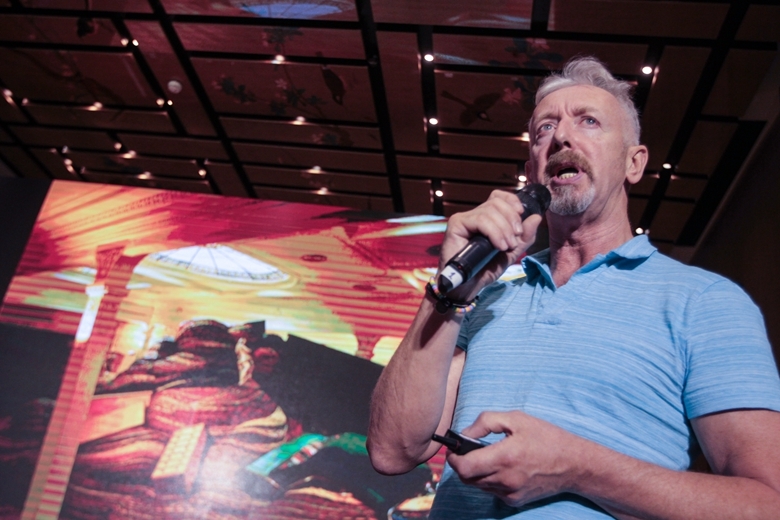 Hosted by Phoenix in collaboration with the British Council in China, it saw respected academics, celebrated artists and designers from both the countries come together in a social initiative to complement the measures taken by the governments of both countries. What gave the forum additional depth was the brilliant ambience. It was held inside the Palace Museum, formerly the Forbidden City, the Chinese imperial palace for almost 500 years and the heart of the nation's art, culture and literature. 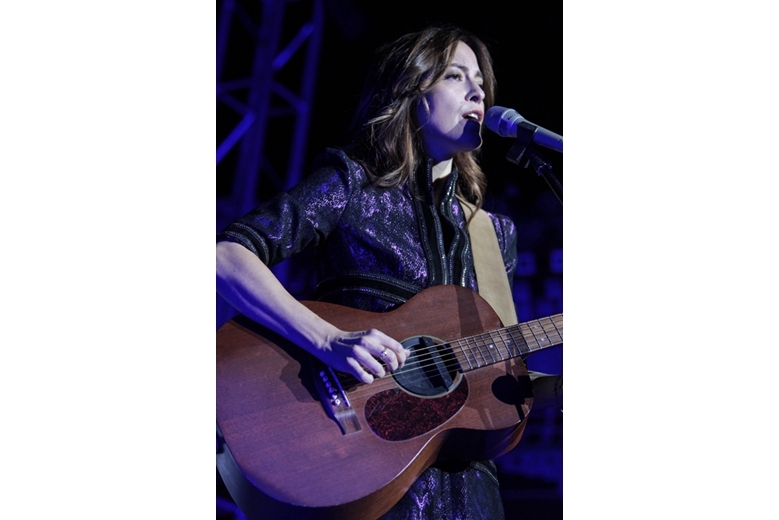 Carma Elliot, Minister of Culture and Education at the British Embassy in Beijing and British Council's Director in China, said Sino-British ties had also been strengthened by high-level visits. In October 2015, President Xi Jinping visited the UK and took part in the commemoration of the China-UK Year of Cultural Exchange. In September 2016, Prime Minister Theresa May came to China to attend the G20 Summit in Hangzhou City. The fusion of the East and West is truly a driving force, she said. The Sino-British partnership has been cemented in a wide range of activities, especially culture and education. As Martyn Roper, Minister and Deputy Head of Mission at the British Embassy, pointed out, currently there are 150,000 Chinese students enrolled in various British educational institutions. The number of Chinese tourists to the UK has doubled in the last five years and the government is issuing two-year multiple-entry visas to Chinese visitors. In an unusual tribute to this partnership, the forum saw a brief presentation, a kind of Tang Xianzu meeting Shakespeare, with the lovers from the former's play Peony Pavilion sharing the stage with the Bard's Juliet in a fusion of Chinese opera and ballet. But perhaps the most spectacular amalgamation at the forum was the work of Scottish sculptor David Mach, who chooses the most humdrum things conceivable as his medium to create giant and often sublime artwork. Some of his Biblical art, like Golgotha, showing the crucified Christ, was made entirely out of "millions of coat hangers made in China." Then there were the portraits of global icons like Marilyn Monroe and Mao Zedong made entirely from pins of different colors, imported from China as well. "No matter where you live, China will always come into the view. It's a big player," the 60-year-old sculptor said. The forum also included a panel discussion on how fashion is crossing boundaries to enter the realms of art and an arresting fashion show on an experimental and perhaps futuristic range of men's wear. 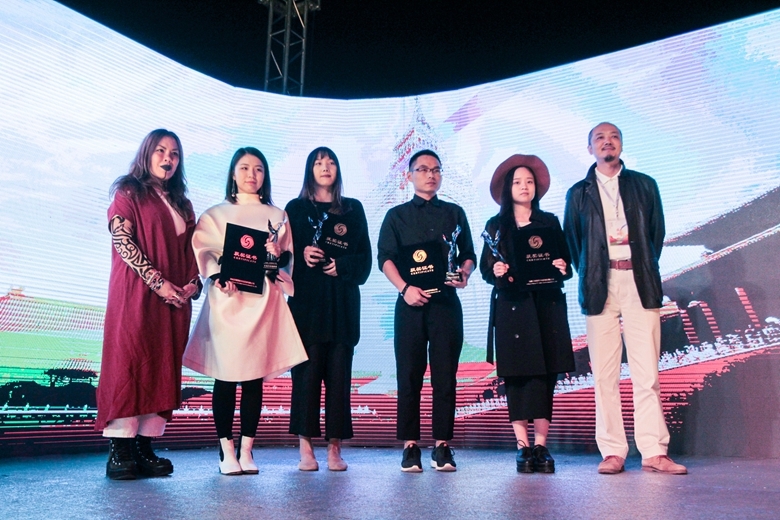 The organizers had held a contest, the Chinese-style Global Competition of Menswear Design, and 83 designers had submitted their entries with the winners' works being displayed at the fashion show. It has been a global trend that most of the iconic fashion designers are men. However, China may have started a table-turning counter-trend. All the five winners in the category of apparel with the most commercial potential were young women.